Yesterday, I continued with my cookie making project for Eid. To be frank, I was still feeling super lazy to bake anything. I made something tho, i.e. White Choco Pops. Another super easy stuff to make. I think even my angel can make them with eyes closed .. hehehe .. ahhhhhhhh .. wat the heck .. I told ya .. I havent any mood to bake yet! Melt white chocolate couverture using double boil method. 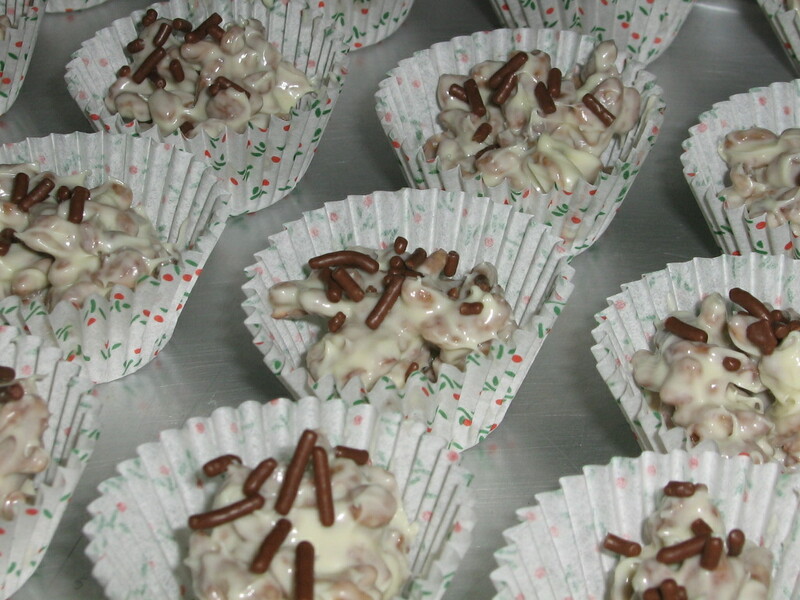 Once white choc has melted, pour in the choco pops and mix well. Sprinkle top with chocolate rice. Air dry or may be put in fridge for choc to dry. Thank you for your simple recipes in your blog. I love to make my own cookies because I have some food intolerance and yours are wonderful and easy to make them. Great blog. Thanks loads for visiting my blog. I can only manage with simple recipes .. ehehe .. still an amateur. Do visit my blog again for more simple recipes yah. I tried going to your blog unfortunately I cant read as it is not English. hey that's easy will try it!! You know im a sucker for easy peasy stuffs!! Maybe I made that 2 or 3 days before raya!